Enhancing business potential and providing a variety of build to suit your exact needs, the 2019 Ram ProMaster is a well endowed pick for boosting your productivity and economic savviness. 2019 offers you three new variants to pick from along with increased towing and hauling capabilities with overall great handling and technology. Inspired by similar European sprinters and delivery vans, the ProMaster has the size and power to take your business to any corner of the city. What interior dimensions come with the ProMaster? No matter the trim you prefer, standard features remain largely the same across the board, so you don't have to worry about any certain advantage beyond what dimensions and body build best suits your business. In addition to last year's 1500 model, 2019 has added a 2500 model and two 3500 models to broaden the ProMaster's versatility. Each of the series offers a unique wheelbase and roof height, personalizing how much hauling space you have available. There's choice of best-in-class Standard 118-, Medium 136-, Long 159-, or Extended 159-inch wheelbases with roof heights varying between 66, 77, and 106 inches, depending on the series number you opt for. Every configuration gives you a widest-in-class 76-inch cargo width (56 inches between the wheel wells). There's also the Cargo, Passenger Window, Chassis, or Cutaway van models, so there's guaranteed to be a ProMaster that best fits whatever you need a Class 1 van for. On the high end of the scale, altogether that's up to 460 cubic feet of cargo capacity! Nearly 90-degree walls with 17 floor and sidewall tie-downs make sure everything is easily measurable and secure. You can opt to equip aftermarket shelving units (seen above) to improve your business organization and tool accessibility either through the 260-degree swinging rear doors or the side sliding doors. How does the ProMaster's powertrain handle and perform? All ProMaster models and builds come in front-wheel drive, equipped with the ever-reliable Pentastar 3.6-liter six-cylinder gasoline engine with a six-speed automatic transmission. 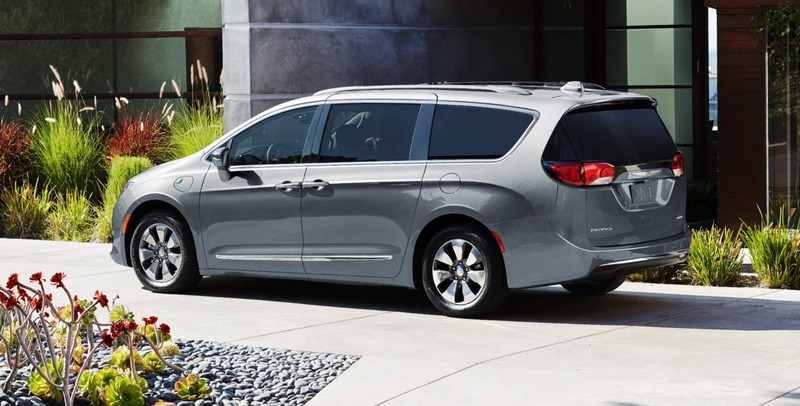 This combination is one of a kind; the rest of the Class 1 van market comes rear-wheel drive, rendering them far from able to compare with the ProMaster's best-in-class 36-foot turning diameter (118-inch wheelbase). FWD assures that you have superior maneuverability, responsive acceleration, and greater handling since the engine block is over the powered wheels. This also gives you a lower loading height! The Pentastar supplies you with best-in-class 280 hp and 260 lb-ft of torque, riding on 16-inch steel wheels. The 2500 and 3500 differ only in that they feature a more heavy duty suspension for their higher payload capacity. What are the ProMaster's maximum payloads and tow ratings? Maximum payload weights are determined by the vehicles' Gross Vehicle Weight Rating, or how much the vehicle plus cargo can weigh together. For example, for the 1500, this GVWR is 8,550 pounds. With its curb weight being around 4,780 pounds, the 1500 has a maximum payload rating between 3,770 to 3,990 pounds (dependable on configuration). The 2500 is listed for a GVWR of 8,900 pounds, giving it a payload rating between 3,700 to 4,130 pounds. Last, the 3500 has a GVWR of 9,350 pounds, providing you with up to 4,020 to 4,430 pounds of payload weight. Every ProMaster when properly equipped with Ram's Trailer Tow Group can tow up to 5,100 pounds. Business savvy, professional, and with plenty of spaciousness to get any job done in one trip, the 2019 Ram ProMaster is a smart partner in enhancing your organization and efficiency. All the models and builds of the ProMaster can meet your business needs with ease. Whether you're looking for your first upgrade or you're searching for the perfect Class 1 van to expand your fleet, look at the many options the ProMaster can offer you for the smartest business choice you can make this year!